Our inbox is full of wonderful compliments and letters of thanks. LYNDHURST is a wonderfully happy care home, and I am very satisfied that my mother is well cared for. She is very happy and after only a few days, she seems brighter, cleaner and happier! Everyone is very kind & helpful and there’s plenty of things for my mother to do and she can rest when she wants to. She enjoys her meals and food & drink preference and looked after well. It is a very nice home indeed and all the staff are very caring & kind. My dad, Mike B., was a resident at Lyndhurst for almost a year. I would drop in unannounced twice a week to take my dad out, and in those circumstances I had a lot of interaction with the staff. I always felt my dad was well cared for. All the staff I dealt with were exceptionally friendly and kind. Their communications, whether in person, or through emails and telephone, were very helpful as we dealt frequently with matters such as his health and well-being, and taking him to hospital and doctor appointments. Staff made time to feed back to me how my dad was, and what he had been doing. 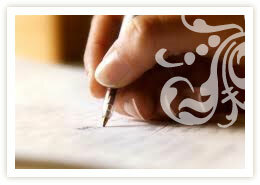 I am writing to let you know how much I appreciate the quality of care my brother continues to receive at Lyndhurst. There has been significant improvements in his health and social skills since he moved there. His appetite has also improved as a result of the high standard of food, which always looks delicious. The staff are very kind and helpful, please pass on my thanks to them all. I just wanted to write and thank you for everything that you did for my Mum. Although it has been very difficult watching her condition deteriorate, I could not have found a better place for her and I will never forget the kindness and love that she received from so many of your staff. When I do come I never let you know I am coming, and I am happy that I find how accommodating you are when it comes to mum, and how difficult she can be when it comes to her food, and you will always find her something she likes. The food always looks appetising, nicely cooked and hot. Her room always is very clean and tidy, and the bedding is fresh, as well as that, she can have a cup of tea anytime she wants to. Also how welcoming you all are to me and treat me very well.